Besides record-breaking achievements, the automobile industry was a growth highlight of Vietnam’s economy in 2018, particularly with the introduction of a made-in-Vietnam branded car. Domestically assembled cars dominated Vietnam’s market in 2018, with sale number reaching 215,704 units in 2018, up 10.6% year-on-year, while imported completely-built-units (CBUs) were 72,979 units, down 6.2%, local media reported. Vietnam, known as a motorcycle kingdom in the world, recorded motorbike sales of nearly 3.4 million units in 2018, breaking the record of 3.3 million vehicles in 2011, the Vietnam Association of Motorcycle Manufacturers (VAMM) said on Sunday. According to a recent report of ManpowerGroup Vietnam, a human resource solutions provider, many employers stated the number of qualified candidates is limited. Also, many businesses have difficulty in recruiting and retaining people by raising salary. The Central Steering Committee for the implementation of grassroots democracy regulations held a conference in Hanoi on January 14 to review the work last year and set out new tasks for 2019. In the dead of night, the entire front half of shopkeeper Ta Thi Kim Anh’s house collapsed. Perched on the sandy banks of the Mekong River, it took just a few minutes for one half of everything she owned to plunge into its murky depths. The high growth would come from stable economic growth and cheap valuation of Vn-Index. The forestry sector will support the issuance of sustainable forest management certificates on an area of 100,000ha per year as part of efforts to ensure that Vietnamese wood products satisfy all international requirements as the country joins free trade agreements. Real estate conglomerate Vingroup launched its first electric motorbike in November. The company is one of several striving to help achieve the Vietnamese government’s target of becoming a fully industrialized nation by 2020. The Ministry of Natural Resources and Environment has issued a circular to regulate marine oil spill cleanup and recovery efforts. The Government has approved a project to ensure proper nutrition and improve the physical fitness of students. Several universities have included English as one of the criteria in their enrolment plans for the 2019-2020 academic year. The Comprehensive and Progressive Agreement for Trans-Pacific Partnership (CPTPP) takes effect in Việt Nam today. The impact of the CPTPP on the economy depends greatly on the country’s ability to obtain opportunities and overcome challenges. The management board of Tan Son Nhat Airport in HCM City estimate that the airport will serve up to 900 flights a day this Tet Holiday. Large-cap stocks may be a better option for investors at the moment as earnings season is approaching and expectations will be better on large-cap companies thanks to their stable, consistent and less risky performances. 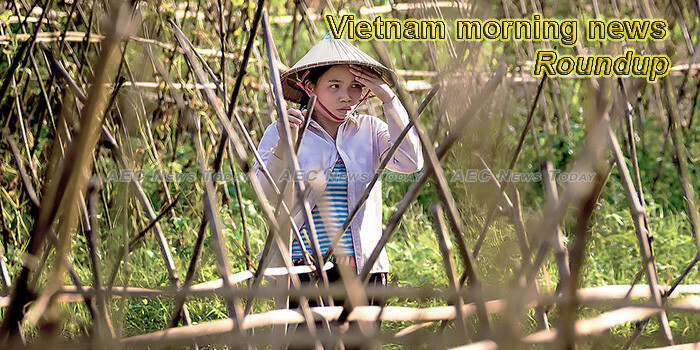 Inside the Cultural Park of Ca Mau city lies a breath-taking bird garden, drawing thousands of visitors to the country’s southernmost province. However, increasing pollution has threatened the survival of the local environment. H’Mong people often celebrate their traditional New Year one month ahead of the lunar New Year festival when people finish harvesting their crops. Days before the festival, people prepare altars at their house and make new clothes to welcome the new spring. Mui Ne beach is set to become one of the most-visited destinations in the Asia-Pacific by 2030 under a master plan for the development of Mui Ne National Tourism Site to 2025 with a vision for 2030 recently approved by the Prime Minister. The smart city operation centre, which is part of a larger smart city project launched a year ago, is expected to open at the headquarters of the HCM City People’s Committee. Prime Minister Nguy�…n Xuân Phúc has approved the project of establishing Việt Nam Stock Exchange based on the restructuring of the two existing bourses with an aim to ensure securities market to operate with efficiency and transparency. Vietnam has become an important market for Asahi Group, especially in nutritional products for children, said the group’s executive. The military-run telecom provider Viettel has been valued at 3.178 billion USD by the world’s leading business valuation consultant Brand Finance. Improving the quality and safety of animal husbandry products remains a major export priority in Vietnam. The car rental market has become very active in the capital city as the Tết (Lunar New Year) holiday approaches. Wholesale and retail markets in HCM City are busier than ever with the Lunar New Year (Tet) holiday only weeks away. – A famous dried-banana village in Tran Hoi Commune in Ca Mau Province is now entering its peak production season for Tet (Lunar New Year), which falls on February 5 this year. Prime Minister Nguyen Xuan Phuc on January 14 checked the combative readiness of police in the Central Highlands province of Dak Nong, asking them to stay vigilant and ensure public safety is maintained during the upcoming Tet (Lunar New Year) festival. Party General Secretary and President Nguyen Phu Trong called on agencies, organisations, businesses and people from all social strata to join hands in supporting disadvantaged people, while addressing an event in Hanoi on January 13. Improving the quality and safety of animal husbandry products remains a major export priority in Việt Nam. The crop cultivation sector has set the goal of earning nearly 21 billion USD from farm produce export this year. This year’s ASEAN Tourism Forum (ATF) will take place in the northeastern coastal province of Quang Ninh from January 14-18, with the participation of about 2,000 delegates, according to organisers.